Pro-Ject Ground It Deluxe 3 Isolation Platform is the same size as the Deluxe 2 but features magnetically supported feet for an additional layer of isolation - the ultimate solution for your hi-fi turntable. 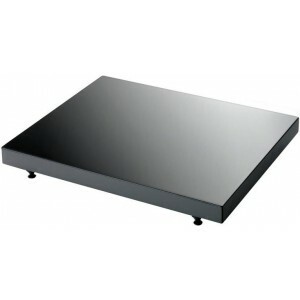 Finished in the same high-quality piano black as the other Ground It models, use this platform on a hi-fi stand or dedicated wall shelf for even better isolation. 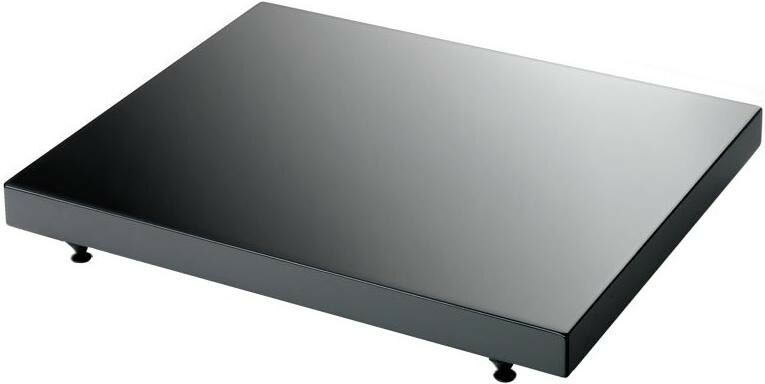 Like the Ground It Deluxe 2, this platform will isolate any hi-fi component from external vibrations and is particularly effective used with a solid or suspended design turntable. The magnetic feet only serve to improve the isolation properties of the other models even more with marked improvement in smoothness and precision with an impressive reduction in background noise. The result? You can enjoy the music more! Weighing in at 2kg more than the other two Ground It models, the Deluxe 3 is the ultimate in isolation from Pro-Ject. An ideal choice for use with many turntables from the Pro-Ject range that don't require the larger size, including RPM 9.1, 6 Perspex, V Pack, Xperience 2, RPM5, Xpression MkIII and other branded turntables of suitable size.